IIIrd Tyme Out are set to release their latest album called It’s About Tyme. For almost twenty-five years of consistently entertaining audiences in concert and on the airwaves, fans can expect nothing but the best from one of the bluegrass’s most gifted and awarded vocalists, Russell Moore, and his band, IIIrd Tyme Out. Like all IIIrd Tyme Out albums It’s About Tyme holds a variety of hard-driving bluegrass, soft ballads and their trademark a cappella sound. It’s About Tyme was recorded at Southern Ground Nashville, owned by country music super-star, Zac Brown, and was engineered by Grammy Award winner Brandon Bell, who also worked with the group on their previous album. It’s About Tyme will be available worldwide on 4th September but listeners can enjoy a preview during the official World Premier on SiriusXM’s Bluegrass Junction Track by Track with Kyle Cantrell. The show will air on Wednesday, September 2nd at 11am ET with additional broadcasts on Thursday (9/3) at 9pm ET, Saturday (9/5) at 8am ET, and Sunday (9/6) at 12pm ET. For more information, visit Siriusxm.com. On the official release day, September 4th, the Birthplace of Country Music Museum in Bristol, Virginia will host Russell Moore & IIIrd Tyme Out for an exclusive Album Release Concert that will include an interview on WBCM with Tony Lawson as part of their “Bristol Radio Sessions” series. Limited seating is available and tickets may be purchased by visiting www.birthplaceofcountrymusic.org. The concert and interview will air beginning at 7:00pm ET across WBCM, heard locally in the Bristol, TN/VA area at 100.1FM, and through the WBCM Radio app. In addition, a live webcast will be streamed online at the museum website. 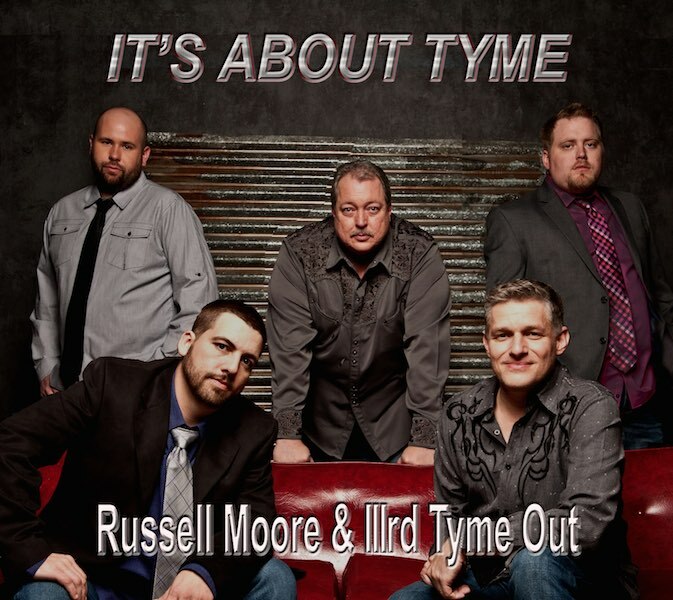 For more information on Russell Moore & IIIrd Tyme Out and their new album, It’s About Tyme, please visit www.iiirdtymeout.com.